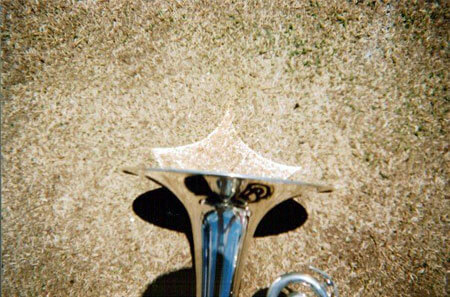 Jeff Oliver, a 2007 member of Carolina Crown, submitted this photo and caption. We noticed during a rehearsal that if we set our horns down with the bells facing the sun, the light reflected onto the ground as a crown! Was Crown meant to have these horns? I think so.